I’m trying out something new on the ol’ blog. In response to the epic, and often tiresome, state of network television, I couldn’t help but add in my two cents. What once were the towering standards by which original programming was judged, the networks have fallen into a rut of irrelevance. And while the changing state of viewing and the broadness of the marketplace certainly have contributed, there are surefire ways, in my humble mind, to remedy some of the dire straits the broadcast networks have found themselves in. I’ll be the first to say that, despite its obvious inferiority within the biz, NBC has always been and will always be my favorite of the big four. Despite its steady decline into ratings doom and gloom, it consistently is home to my favorite programs, often the most creatively diverse of the broadcast providers. And with upfronts out of the way and renewals, cancellations and pickups complete, I wonder if maybe that spiral will continue. Regardless, here’s my take on a few things that NBC should’ve considered before hastily cleaning house on the bulk of their shows. (1) Room to grow – One of the biggest missteps in NBC’s recent years is its inability to keep their finger off the trigger when it comes to knee-jerk cancellations. Sure, Do No Harm was a giant failure, due in part to poor marketing, but some of the other shows that pulled in modest ratings surely need some time to simmer. Take ABC’s trajectory with Scandal for example. It was no ratings powerhouse in season one, but it brought in respectable numbers (ones that just a year later already seem astounding when comparing to the overall state of affairs). Did the network quickly do away with the modestly performing series and attempt yet another “fresh, new” go of it? No – they allowed the show a second season, and it’s quickly become one of the highest rated dramas on television, thanks to stellar marketing and strong word of mouth. Hell, even FOX kept The Mindy Project around for a second season. And though it hasn’t had its second season yet to prove its point, it’s worth noting that though it was only so-so in viewership, why not give a show whose critical profile is rising a second go-around to prove itself? It will surely be better than introducing yet another new pilot to try to nab new, fleeting viewers. So I commend NBC for giving extra shots to its modest hits Chicago Fire and Revolution, despite the latter steadily declining throughout the season. But don’t forget: the theory that viewers want cable-style seasons, ones that are packed weekly for a shorter amount of time as opposed to spread out across the full nine-month season, was dashed. Relatively successful first-season show Smash crashed and burned thanks to a too-long hiatus between seasons and terrible timeslot decisions. (2) Have faith in quality material – Sure, CBS has proven in recent years that networks need not try hard to grab viewers. Particularly since the broadcast channels have lost all their viewers to edgy cable shows, leaving only those devoted few who seek out cheap laughs and one-and-done crime dramas. But there’s still a place for creative, high-concept television on NBC. If basic cable shows with some limitations on content can pull it off (check out History’s recent endeavors into scripted drama, or A&E’s seemingly successful experimentation with Longmire and Bates Motel, neither of which contain material that wouldn’t fly on a network’s 9 p.m., Cent. slot). Sure, it’s riskier to develop a big show a la Game of Thrones or The Walking Dead and have it fail, but watercooler shows can still occur on those networks that are available to everyone, regardless of cable status. Though I couldn’t get into Revolution, I admire NBC’s efforts to let one of those high-concept pieces live past one season, let alone to the end of a single season. (3) Take less stock in the number – This is probably more a message to ratings calculators and ad folks, but the fact that the way in which people view television is changing is not played into enough in so-called “demos.” The weekly charts have not incorporated enough of the DVR, online viewing, mobile viewing set – it’s no longer an accurate assessment. I certainly hope execs are taking a look at least at DVR same-day viewing before throwing down the ax on a modestly performing show whose perhaps decent ratings are skewed by the misnomer that the standard ratings system has become. (4) Schedule smartly – It’s almost too late for NBC to capitalize too much on smart scheduling, as The Voice is really its only miracle show anymore, but buzzy new shows will maybe help remedy this in upcoming years. Much like the other networks’ practices of burning off shows on Fridays and Saturdays to no one’s benefit (*cough* Happy Endings *cough*) NBC is prone to throwing away shows that probably deserve better and could perform better. Though Smash returned to weaker than expected numbers, tossing it off on a useless Saturday slot was foolish. If The Voice residual wasn’t doing the trick, perhaps courting a different demographic was the answer. On cancellations/renewals – The right decisions were made by keeping around modest hits mentioned earlier in the post, and while cleaning house on the comedy slate may pay off in the long run, catering to lowest common denominator is a method already used by another broadcast network – so the laugh-track-heavy pilots that have been picked up will probably tank just as hard. I sincerely hope they have the wherewithal to keep around Hannibal – though the ratings stank, the timeslot choice was horrible, particularly considering the built-in audience an established property like The Silence of the Lambs should bring. Placing it on a different, more appropriate night could give it a fighting chance. Sundays – This night has been a big race for ratings, with most cable channels putting up the best of the best against the networks’ offerings. 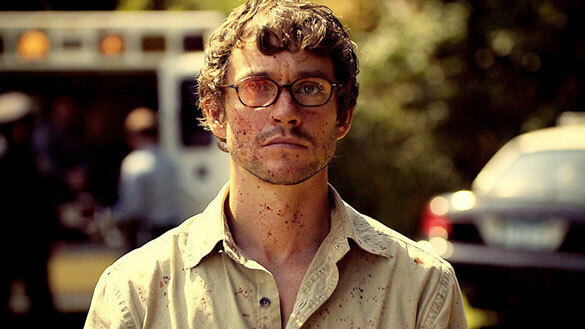 This is where high-concept shows like Hannibal should thrive. I’d pair it with their new Dracula series and perhaps another thriller and make a night of it. Mondays – Gluts are never good. And CBS owns this night with its sitcoms, never mind the reality struggle that ensues once Dancing and The Voice have it out. Counterprogramming would be my technique. Pair lighter family fare, such as Parenthood with some new pilots, and the audience that finds CBS Mondays too crass might find a home. Tuesdays – Speaking of gluts, Tuesday comedies have overrun all else. This is the perfect night for NBC to phone it in and throw in some procedurals. Though not forgetting to inject quality and uniqueness when possible. Hit Chicago Fire can sandwich a new pilot with SVU to pull in drama viewers. Wednesdays – This is where the juggernaut should partially go. The Voice should lead off the night, pulling away viewers from the universally enjoyed ABC comedy lineup, helping to launch, perhaps, a new drama at 9 to hopefully start a new launchpad night, a la CBS’s Monday-night revolving door (you set it next to the established shows long enough to eventually set it free). Then again, opening the night with Community and Parks and Rec might be an interesting experiment. Would Voice viewers tune in early for the smart comedies just beforehand? Thursdays – And The Voice can finish up here. Never mind the Idol competition. Put a fork in it – it’s prime time to strike on its weakness. This is the only unwinnable night, with Big Bang taking the cake no matter what. 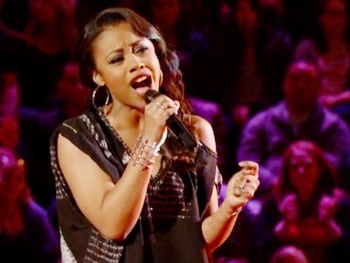 Why not put up a fight – The Voice is the network’s only must-see programming at this point. And Revolution can close out the night, as I think it still needs that lead-in to stay strong. Fridays – The one night where NBC is truly excelling, keeping Grimm here is the right move. I also think comedies have done some decent numbers on this oft-forgotten night, of late, so I would’ve probably kept around decently performing Whitney and Go On to help establish two other new pilots, making this the new NBC comedy block. Because why not? Outside of ABC, nobody’s even trying for this night.